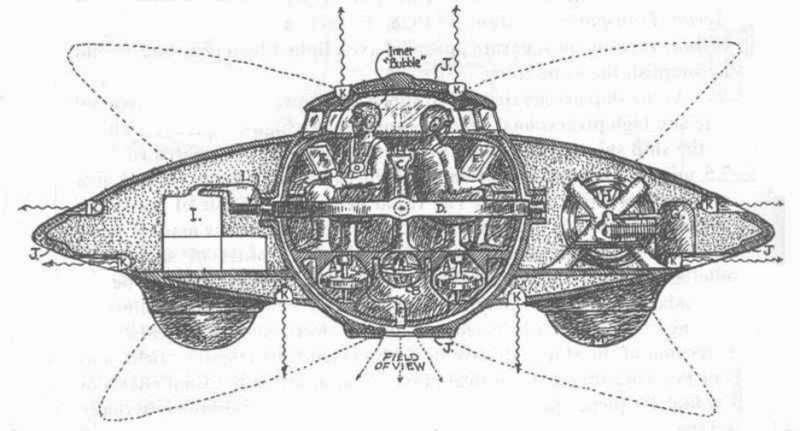 Since this year’s Solstice, Kevin Randle has been writing on the purported crash of an airship in Jefferson, Iowa in April 1897, providing a wealth of original material and even a photograph of an airship that landed in Waterloo, Iowa. He has gone on to contrast this story with that of the other, more famous, crash in Aurora, Texas the same month. Randle concludes that both stories are hoaxes, perpetrated by the newspapers of the day to increase circulation. Of course, from the point of view of the mythos, what is important is that the waves of both 1897 and 1947 present with what Leonard Stringfield would term “Crash/Retrieval Syndrome”. Indeed, what is most valuable from a textual point of view is that, as Randle notes, the debris from the Aurora crash were dumped down the town’s well, which links the tale, at the level of the signifier, to that most famous crash/retrieval story, that of Roswell, i.e. Rose-well, a name that will bring to the minds of some readers the expression “sub rosa“…. ‘Aurora’, too, is a more suggestive name than ‘Jefferson’ in this context, as well. Just last week, a friend recently publicized a chapbook of mine composed and published over twenty years ago, and the response, livelier than any to any of my work in recent memory, encourages me to return to the work that chapbook began. I shouldn’t be surprised, in a way. This poem was the center-piece of the performances I gave during a tour of Germany in 1996, and then, too, the response was gratifying: one audience member excitedly came up to me to say he would buy everything I would publish, and a friend I made during that tour, the German novelist Georg Oswald, approved with pleasure the approach I took to the material. And a few years later this sequence was well-received by Terry Matheson, a professor of English who has applied narratology to alien abduction reports and who was kind enough to even teach the poem below in one of his classes. So, for interested parties, I append one of the first poems from this project, the last poem of my first trade edition, Grand Gnostic Central and other poems. and return to back-engineering this “modern myth of things seen in the sky”.